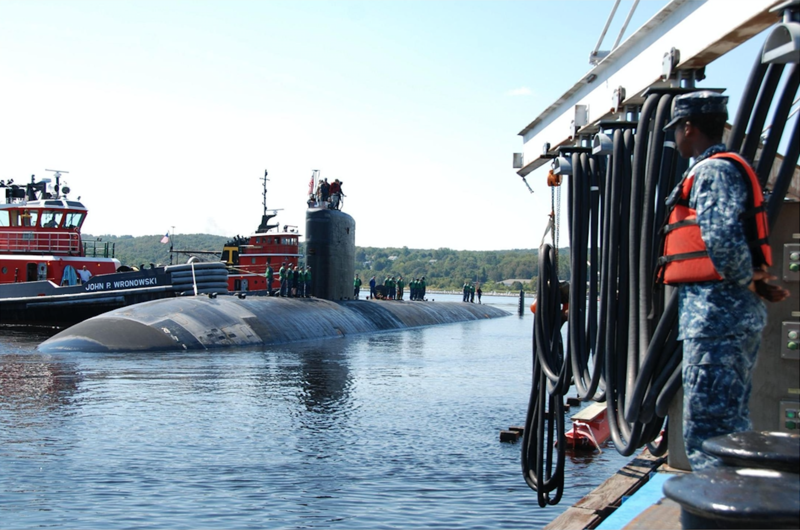 Located along the Eastern bank of the Thames River in Groton, Connecticut, New London is home to the largest contingent of submarines in the US Navy (15 attack class subs) and also to a new, state-of-the-art $11M indoor firing range. The range provides small arms training for 16,000 students annually and is supported by a Rygan geo-thermal field for it’s heating and cooling demands. (below left) Dignitaries tour the new small arms firing range at U.S. Naval Submarine Base New London after the ribbon cutting ceremony opening the facility Friday, August 31, 2012. The new range has 20 lanes with a fully automated target system for pistols, rifles, shotguns, and machine guns. (below right) Rygan wells being connected together before making the final run into the mechanical room.